Last Wednesday, two major earthquakes struck Europe and Southeast Asia within nine hours of each other. As residents slept in the historic towns and villages of central Italy, a 6.2-magnitude tremor rocked the Apennines, taking the lives of at least 290 people. Amatrice, the birthplace of the famous pasta dish spaghetti all’amatriciana, was one of the worst-affected locales. Later that morning, a 6.8 temblor shook the heart of Myanmar. Footage of bricks being torn from an ancient Buddhist stupa seemed eerily familiar, and the reports I read soon confirmed my underlying fears. The quake’s epicentre was roughly 30 kilometres from Bagan, a sprawling archaeological site of 2,200 temples that Bama and I had visited just 10 months before. One particular photo shown on news websites around the world captured the scene as the tremor hit, with clouds of dust rising from the red-brick temples, and collapsed spires that left trails of rubble as they plummeted to the ground. To our dismay, Bama and I recognised it as the same view we’d admired from the wide platform atop the temple of Pyathadar. In all, the authorities counted nearly 200 monuments that were damaged by the shaking. 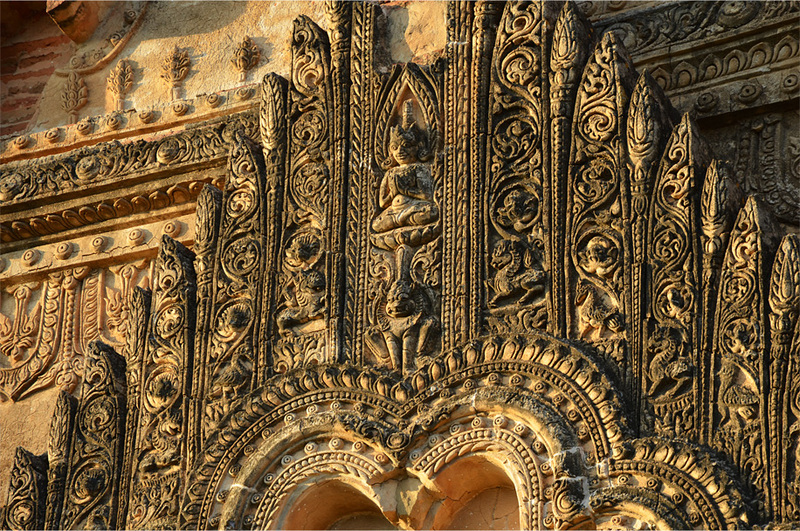 12th-century Sulamani – a masterpiece of Narapatisithu, one of Bagan’s greatest kings – was perhaps the most prominent of them all. Its imposing scale, height and gracefulness made Sulamani one of my favourites among Bagan’s major temples, and I was saddened to see the ruined state of its upper portions. 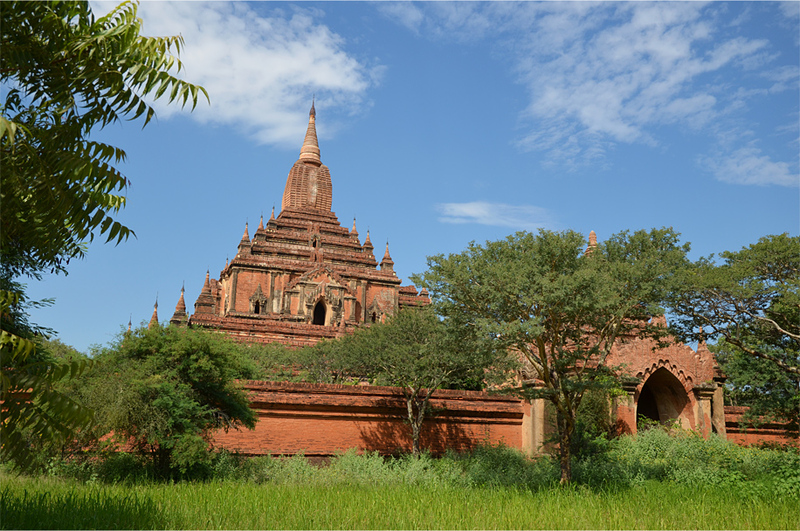 Another temple that sustained significant damage was Tayok Pye, “the king who fled from the Chinese”, so named because the unpopular ruler who built it had left Bagan for fear of an imminent Mongol invasion. 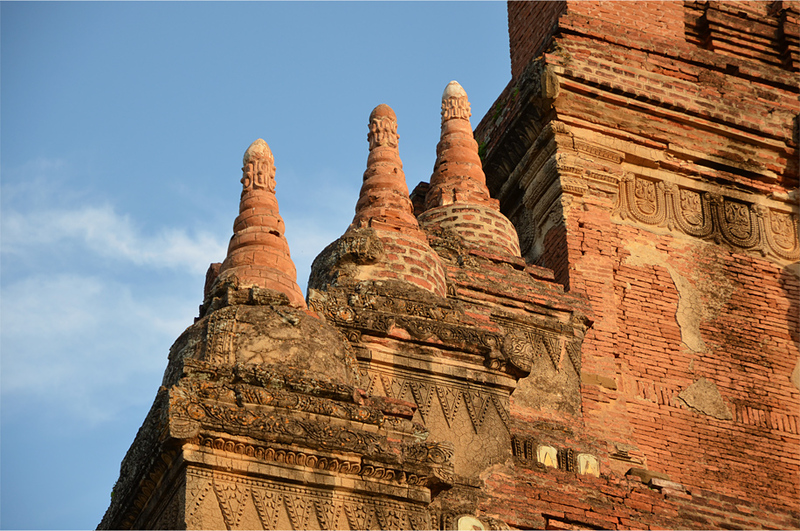 Following a powerful earthquake in 1975, hasty renovation work carried out by the former military regime ensured that Bagan remained off the UNESCO World Heritage list. Further missteps were taken over the next two decades: long-time residents were forcibly evicted from the old city, where a conjectural royal palace was raised opposite the original foundations. Its soaring rooflines affected the visual integrity of the overall site, as did the construction of a tall, cylindrical viewing tower to the east. In hindsight, the repairs were clearly not made to last; much of what tumbled in Wednesday’s quake was not ancient bricks but modern materials added post-1975. Already, Myanmar’s de facto leader Aung San Suu Kyi has asked for a careful restoration with the guidance of UNESCO experts, a process that will likely take a number of years. Thank you for the kind words! We can’t prevent these kinds of natural disasters, but I do hope more can be done to make these precious heritage structures more earthquake-resistant. Fingers crossed the people in charge of reconstruction will follow UNESCO guidelines and restore the temples properly; it may take longer but the extra effort will pay off in the long run. That is such good timing with your trip to Nepal. I know someone who had just arrived in Kathmandu (he was still at the airport) when the earthquake hit, and he spent the next three days trying to figure out a way to get home. At the time my worried parents asked me to consider cancelling our travel plans, but I’m so glad Bama and I still went. So sad to know this, since I’ve never had a chance to visit Bagan. I can feel your sadness James, but at least you were lucky enough to visit it and captured the beauty of those temples, especially Sulamani and Tayok Pye. I hope they can be fully restored as soon as possible. You’re right, Bart. I count myself very lucky to have seen those temples for myself – you must have felt the same way after hearing about the earthquake in Nepal last April. I’ve read that they can’t begin proper repairs until the monsoon ends in October, but we shall see. Beautful pictures, such a shame the monuments got damaged. Yes, some of the damage was quite serious indeed. Thankfully no one died in Bagan, although a few people did in the places closer to the epicentre. It’s really saddening to know that two of my favorite temples in Bagan were among the ones heavily damaged by the earthquake. But as you said, this unfortunate event paves the way for a better and more careful restoration of those ancient monuments. Bagan is one of the most impressive archaeological sites in Southeast Asia, and it deserves to be enlisted as a UNESCO World Heritage Site, only if they follow the strict reconstruction guidelines. I agree, Bama. The conjectural reconstruction with modern materials is wholly inappropriate for a UNESCO World Heritage Site. Heavily damaged as they were, at least Sulamani and Tayok Pye did not collapse completely – that would have been an even bigger blow. I loved how you could appreciate these temples up close and admire all those intricate carvings. You got some wonderful photos James. And I’m so pleased to hear that future restoration will be done with the help of UNESO. Like you I’m glad we got there before this damage. It’s an amazing place and was a highlight of our travels. Wish we’d done the balloon ride though! Thank you, Alison. I’d considered the balloon ride for a while but then decided it was simply out of our budget – though it’s something I will save up for and try out the next time. I remember one blogger saying that it was the second-best balloon ride she’d done after Cappadocia. Well Cappadocia was truly spectacular so I don’t mind missing Bagan. The minute I saw your post title, I thought about the quakes. It makes a traveler want to hurry everywhere before nature disasters (or the human kind!) hit these places we so want to see. I feel sad knowing the Bagan I will see someday will be without some if these treasures. At the same time, I feel lucky to have seen other places before parts of them tumbled in some way. I feel like human disasters are the ones that leave us the most affected, because they are completely unavoidable. The deliberate destruction of the Bamiyan Buddhas and some major sites in Palmyra are two classic examples – in a way, it was heartbreaking to see how ignorance and callousness triumphed over beauty and learning. So good you didn’t postpone plans and did indeed see it in full ‘pre-quake’ glory. Absolutely. I would have felt so much regret if I had followed through with that idea. Stunning photos. I know Italy had it so much worse because many people died, but I felt really sad for Bagan because I’ve been wanting to visit this for months now and even talked to a friend who also wanted to see it. Too bad that we didn’t get the chance to do so and the restoration would probably a long time. 😦 I hope with the help of UNESCO, Bagan will be restored to its former glory. Your photos make me want to visit so bad! I don’t know – maybe it will take five years in all, although I’m not sure about the full extent of the destruction. The news reports rarely showed pictures from other major temples so the optimist in me assumes that the earthquake damage was not nearly as substantial. Very sad to hear about the earthquake destruction at Bagan. It is on my list and I guess I’ll be seeing it in its post-earthquake glory. I’m glad that you went when you did. Thanks for the informative and beautiful post. You’re welcome, Caroline. Thanks in turn for reading and leaving me a comment. I guess one encouraging aspect of this is that none of the important temples – including the ones with significant levels of damage – were entirely destroyed. I’d just begun to plan a trip to Myanmar when this happened. I will probably not cancel my plans, but I was anticipating a sense of loss. Your blog helped by putting together a better picture of what one will miss. I understand and sympathize with your feelings; that’s what I felt about Sikkim and Nepal, after their major earthquakes. I think you are wise to stick with your travel plans. Bagan will still be a wonderful place, it will just be a bit different with some missing spires, cracked walls and a few pinnacles out of place. The earthquakes in Nepal didn’t deter me from going last year and I am very glad that I still made the trip. Beautiful tribute to one of the greatest wonders to be found, the magic of Bagan ~ your photographs and words James are impressive and brings out the very best of this area. I hope the damage is minimal and repairable, and that those in the future will be able to create such memories as you have mentioned here (and an incredible sunset photo!). Thank you so much, Randall. No doubt your own photos of Bagan did the place justice – and brought home the magic it exuded at dusk and dawn. 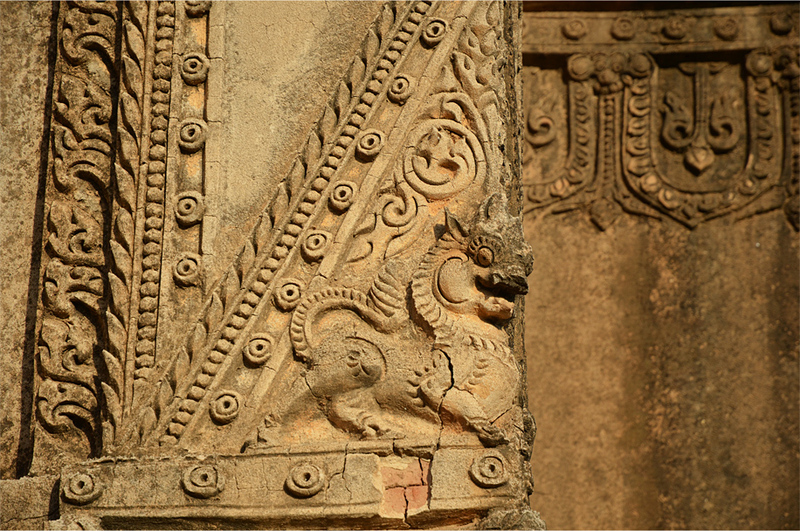 Thankfully it looks like the damage at most of the major temples was relatively light… Sulamani was the major exception. What a shame, at least you got to see it. I think reconstruction/restoration can often be a complicated issue, so many factors to weigh up and consider… p.s. I could have that last photo oh my wall, it’s incredible! That’s true… fingers crossed the reconstruction work will be done much more sensitively than it was in the past. That parting shot is one of my favourites from Bagan – I guess we were in the right place at just the right time! Ah, back to Bagan…how marvelous. It is such a sad thing that they didn’t repair properly, but it is very cool that they are now asking for help to make further repairs and restorations. Bagan is such a magical place, I would go back in a minute. What I realized once I left is that I’m not sure I know what temples are what. I kept careful track of where I went, but did not actually link the place with photos I took. Bad planning here! I may have to send you a photo if I can’t figure out which one it is??? You and Bama took great care with this, and other details, I can see. Well, I have to confess that Bama was far better at recording (and remembering) the names of each temple we visited! 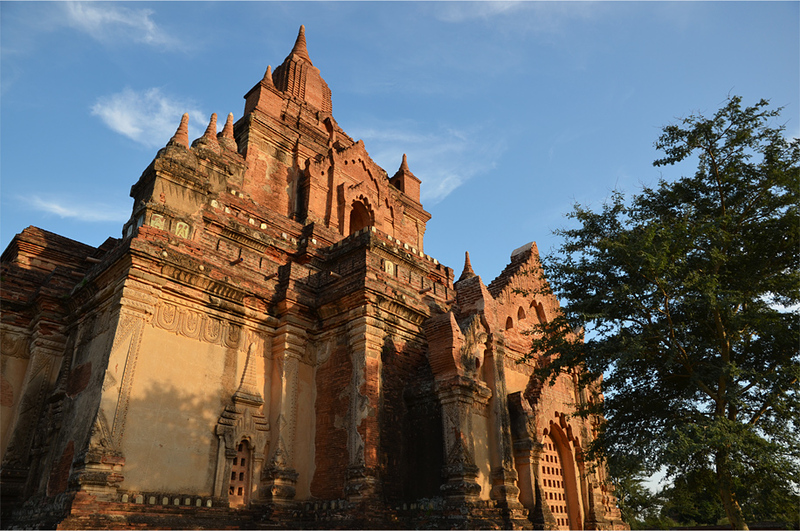 I felt that Bagan was at its most magical in the late afternoon, not long before sunset. Unfortunately Bama and I went at the very beginning of dry season so most mornings started out cloudy. We never did get those sunrise shots we were hoping for! James, OK…so what you’re saying is that I have to ask Bama for the names, right!! And you know, I did get some sun in the mornings, but never did get the shots I wanted. And sunset was a disappointment, also. But what memories, eh!! It is crazy how these places have stood for hundreds of years and then a quake knocks them down. It goes to show how nothing in life is 100% secure. I assume they will restore the temple but it will probably lose some character. Yes, sadly it wasn’t the first time and won’t be the last. Hopefully the repairs will be done very sensitively, without much concrete and cement. The recent quake makes you wonder just how many more temples there were on that plain before some of them were toppled by tremors of this magnitude. James, that closing silhouette is truly breathtaking! We didn’t visit Sulamani, but it’s imposing presence was hard to ignore from anywhere in Bagan. Delighted to learn that future restoration will proceed under UNESCO guidance. And I am – guiltily – pleased too that we went when we did. 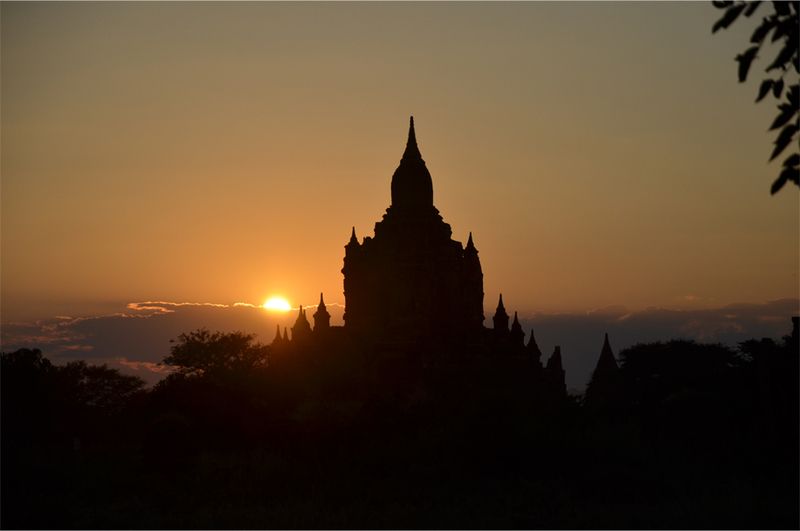 Considering the small number of sunset photos I took in Bagan, I’m glad that parting shot worked out so well. Bama and I didn’t visit Sulamani either – we were content with admiring it from afar, and neither of us wanted to deal with the pushy postcard vendors like those we encountered at Shwesandaw! I was there just before the earthquake hit and hearing about it always brings with it a little sadness. On a happy note, your photos are amazing. 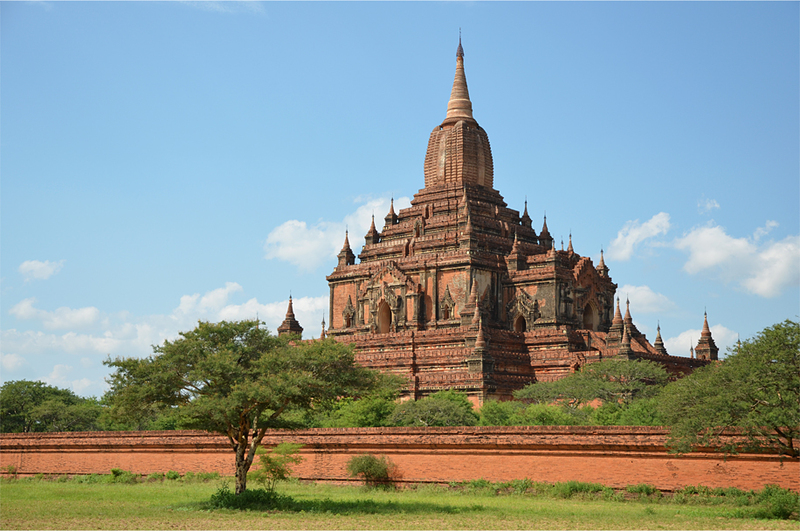 Bagan is a photographic dreamland and you did very well in capturing it’s beauty! Thank you so much for the kind words. And wow, what a lucky escape. It sounds like you got there (and got out again) just in the nick of time. 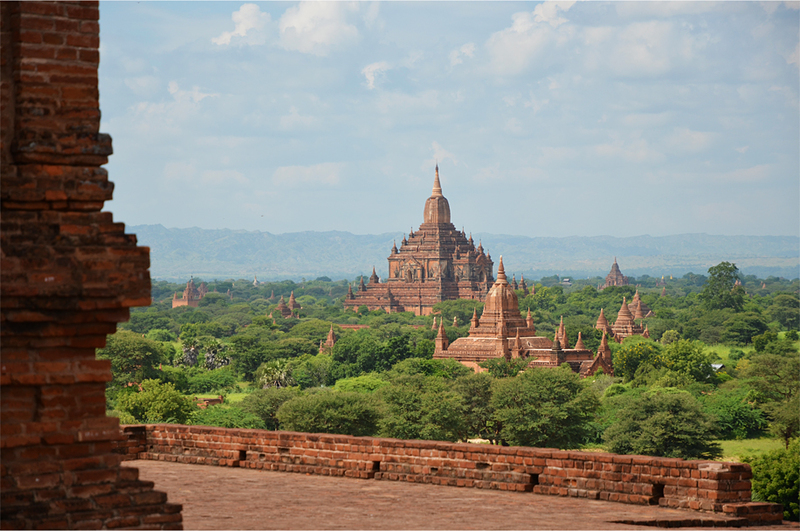 You are right about Bagan being a photographic dreamland – I ended up taking somewhere in the region of 4,000 photos!